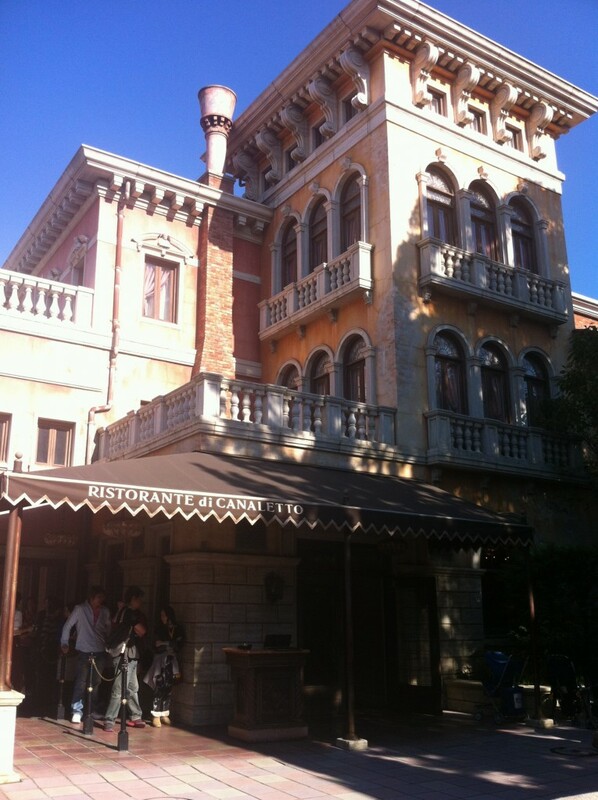 Ristorante di Canaletto is one of the table service restaurants at Tokyo Disnseysea. 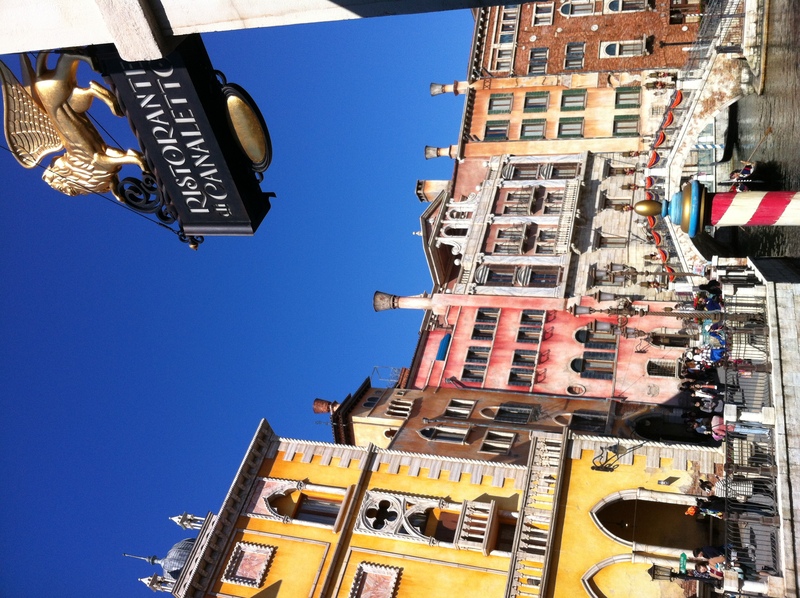 Located in the Mediterranean Harbor, this restaurant has gorgeous views of Disneysea’s Venice, overlooking the canal with the gondolas, and the famous hotel within the grounds of the park, Miracosta. 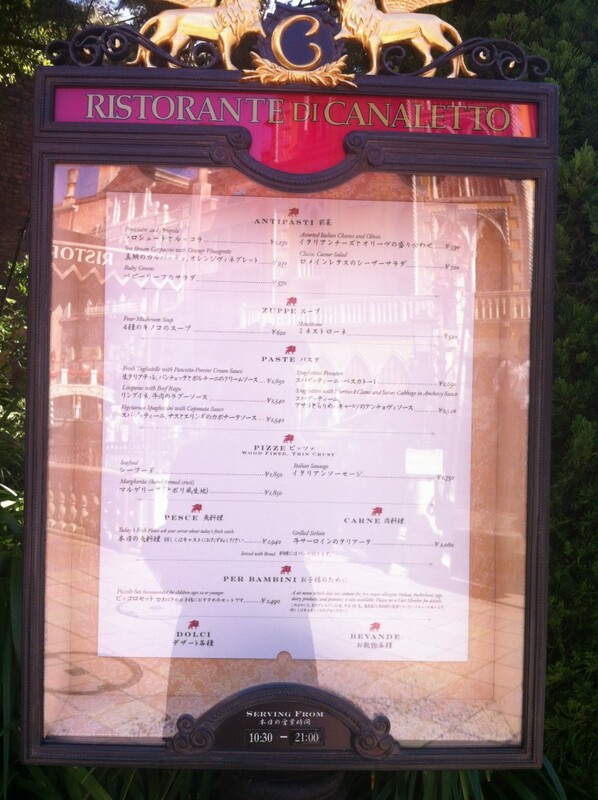 This is a big call, but I would say that Ristorante di Canaletto is my favourite restaurant in all of TDR – and there are a lot of restaurants to choose between. 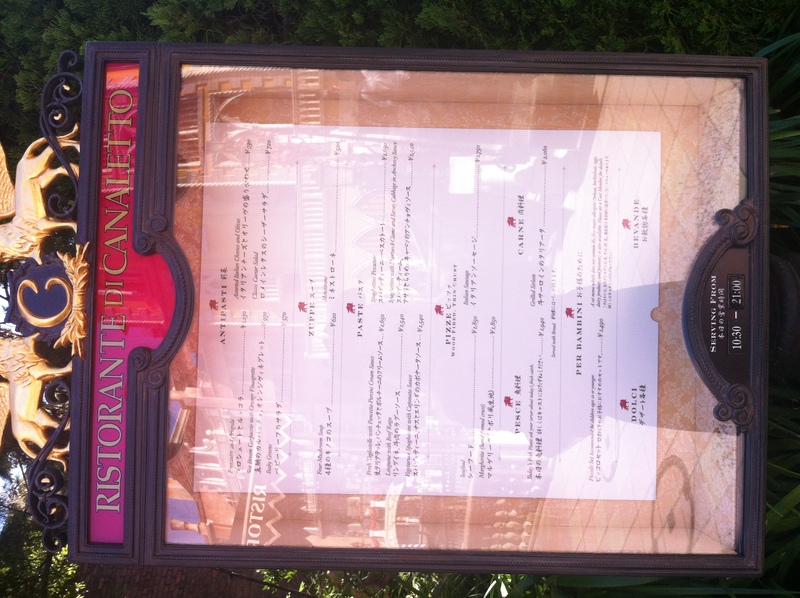 Like the other popular table service restaurants in TDR, you can either arrive early in the morning to reserve a table, or you can do what we did and line up. 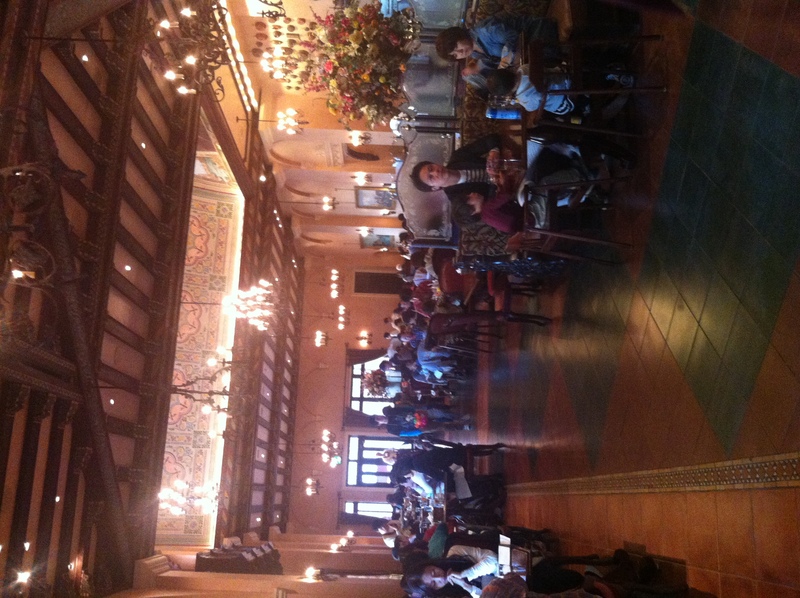 As with our lunch at the Blue Bayou, we got there before midday, hoping to avoid a long queue. Something that we’ve learnt is that with these restaurants, the only way to avoid the queues is to make a reservation, and so we joined the line. 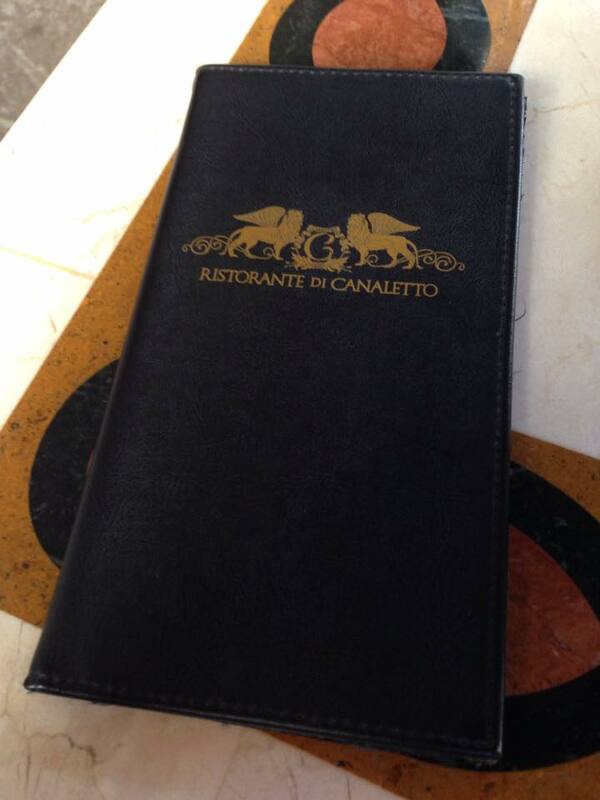 We were given an estimate of 40 minutes, so we were pleasantly surprised when we were seated within 25. 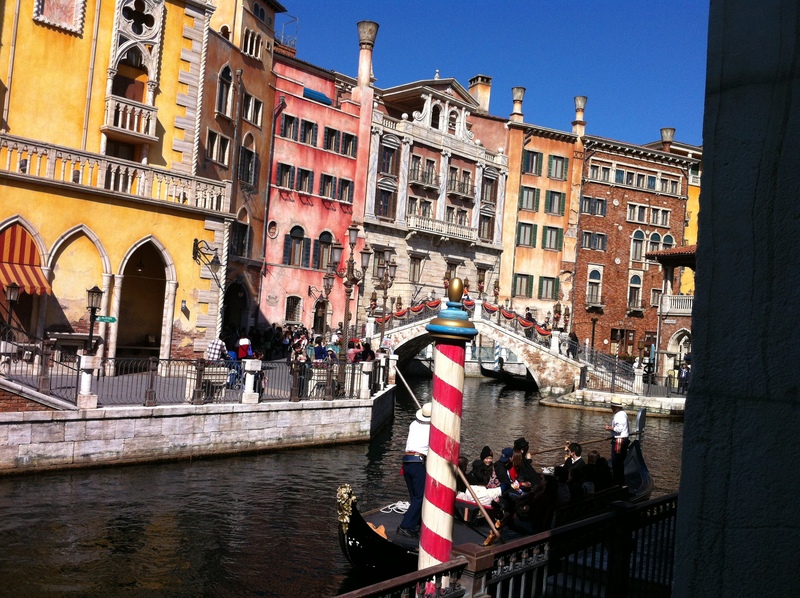 When you line up for Ristorante di Canaletto, you’ll begin outside where you can watch people float by on the gondolas. 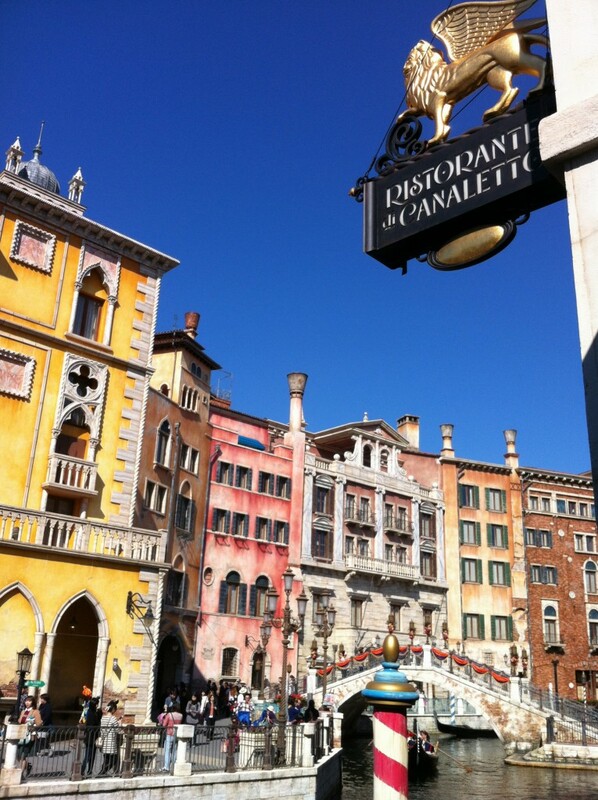 Cast members on the gondolas will even wave as they go by. Once you get closer to being seated, you’ll get to a waiting room where you can sit down. 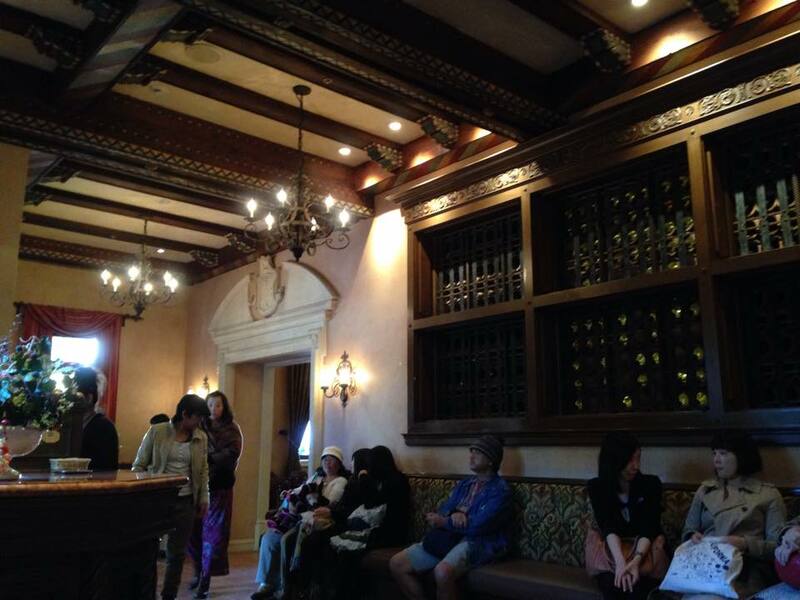 Every detail of Disneysea has been perfectly executed, and even the waiting room is decorated with wooden panels, chandeliers and wine racks. 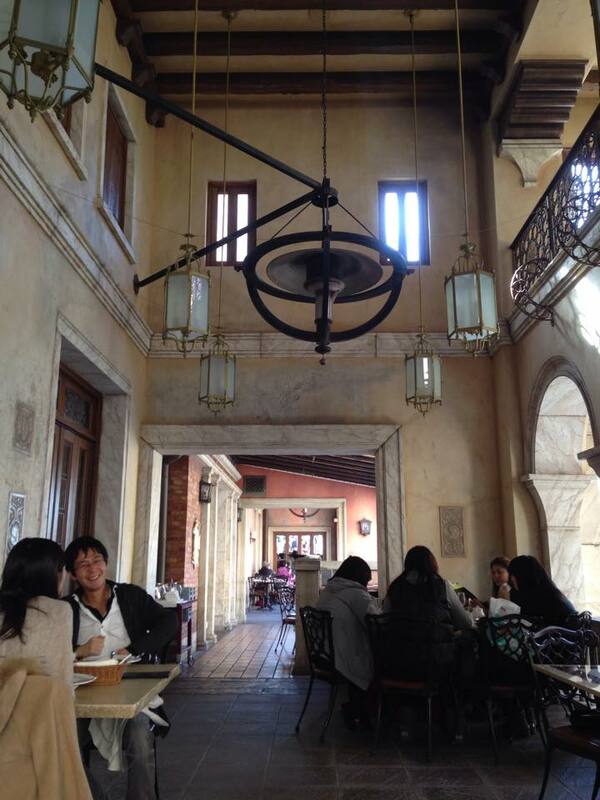 You can choose to sit either inside the beautiful restaurant, or you can sit outside on the patio. We chose to enjoy the beautiful weather and opted for an outdoor table. 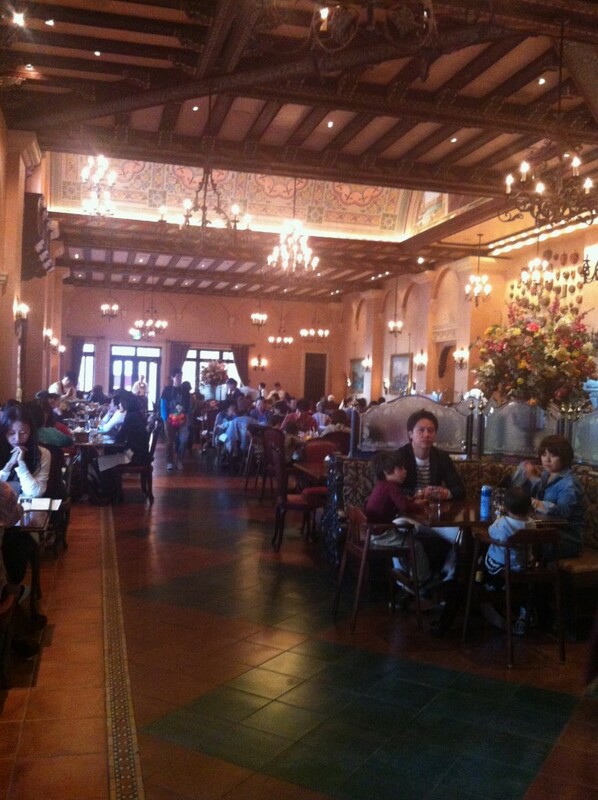 There are more tables inside than outside, so it’s possible that sitting indoors (on a nice day) could reduce your wait. Even on a nice day, it can be cold on the patio, and we were offered blankets to put over our laps. My partner had one of the set menus (which still allows you to choose dishes from the main menu) with an entree, main and dessert, while I had a pizza and a red orange juice. 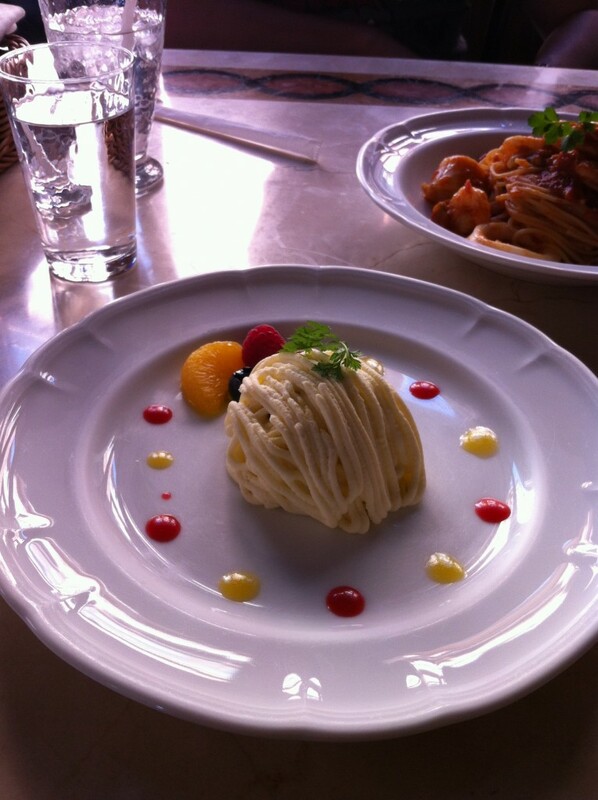 As part of the set menu, we had an entree of a very fancy looking potato salad with couscous, salmon and cream cheese. 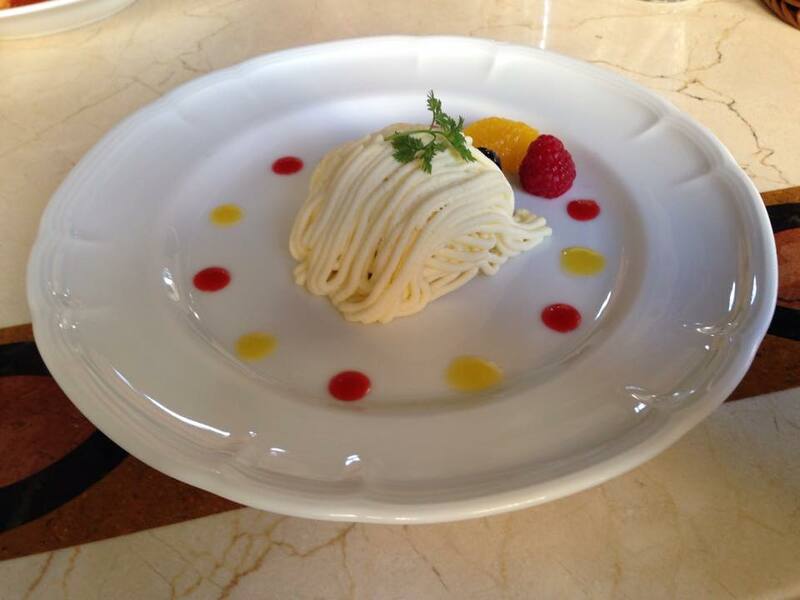 It tasted every bit as good as it looked. 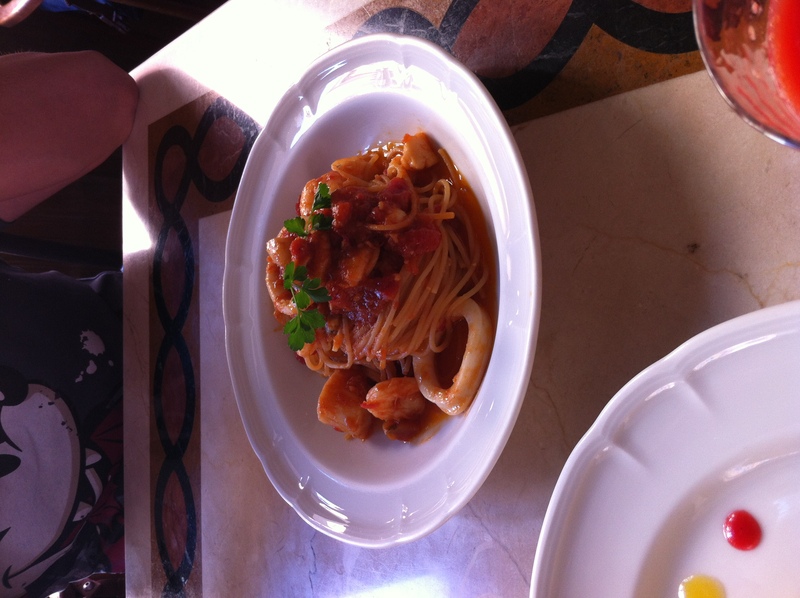 Spaghettini Pescatore – a very nice seafood spaghetti. This was packed full of prawns, scallops, calamari and more. 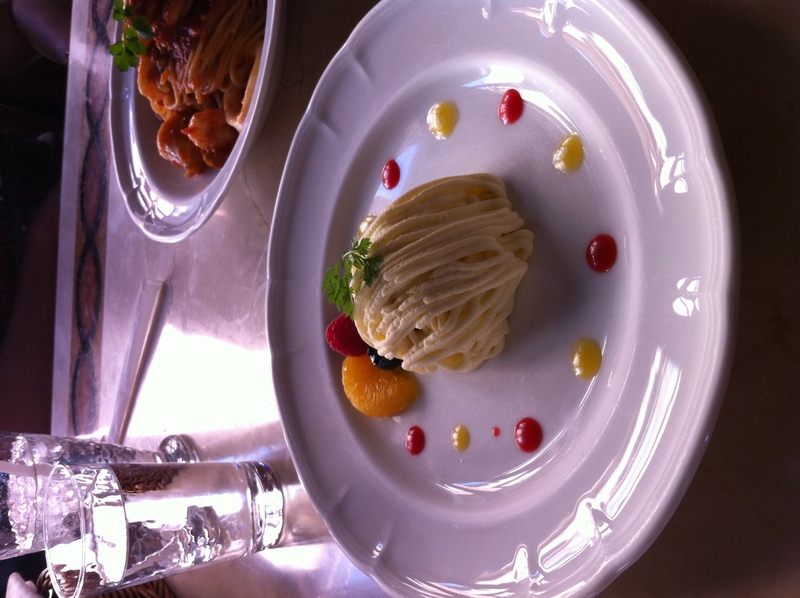 1,650 Yen. 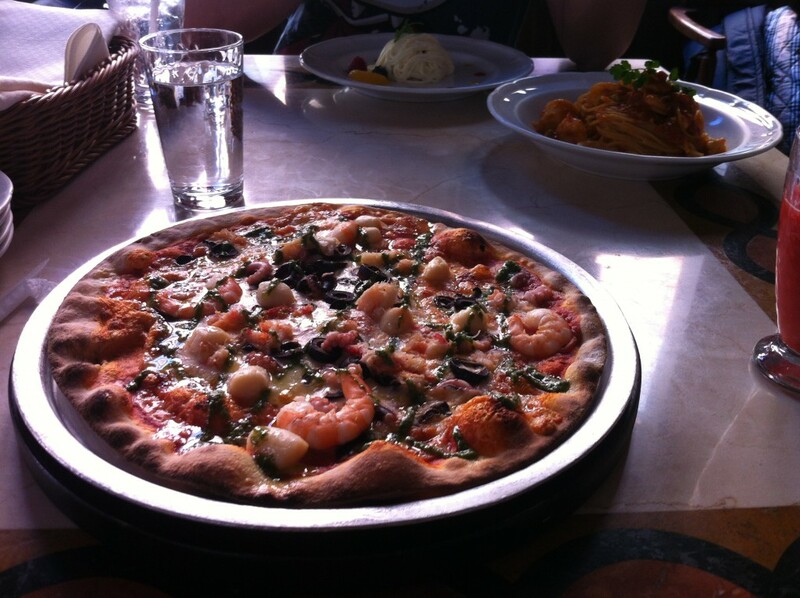 The seafood pizza was easily one of the best seafood pizzas I’ve ever eaten. It was covered in prawns, scallops, crab and baby octopus. 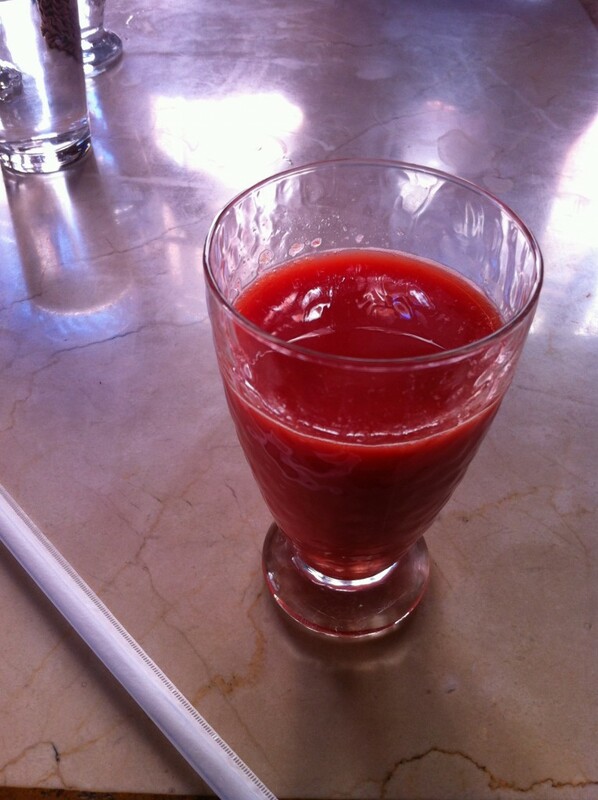 I would definitely order this again. 1,850 Yen. A close-up of the pizza. 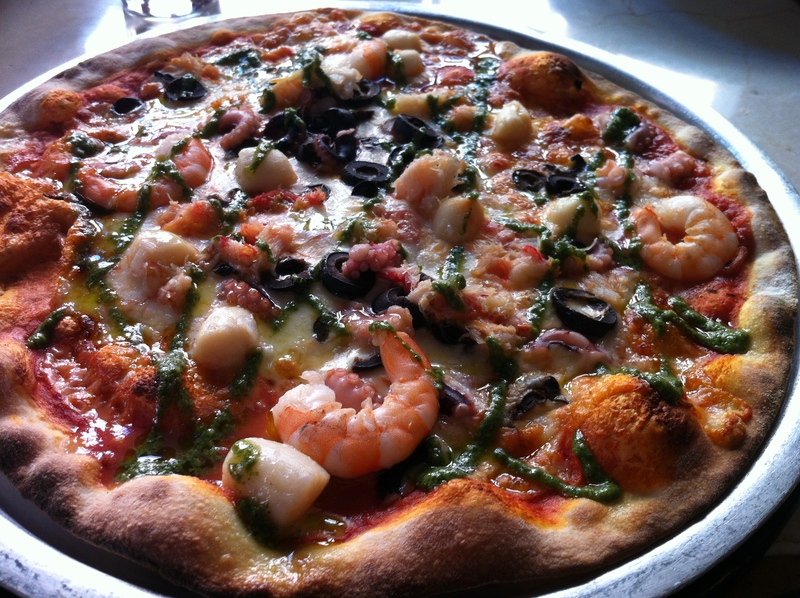 Really, this was a seriously good seafood pizza. 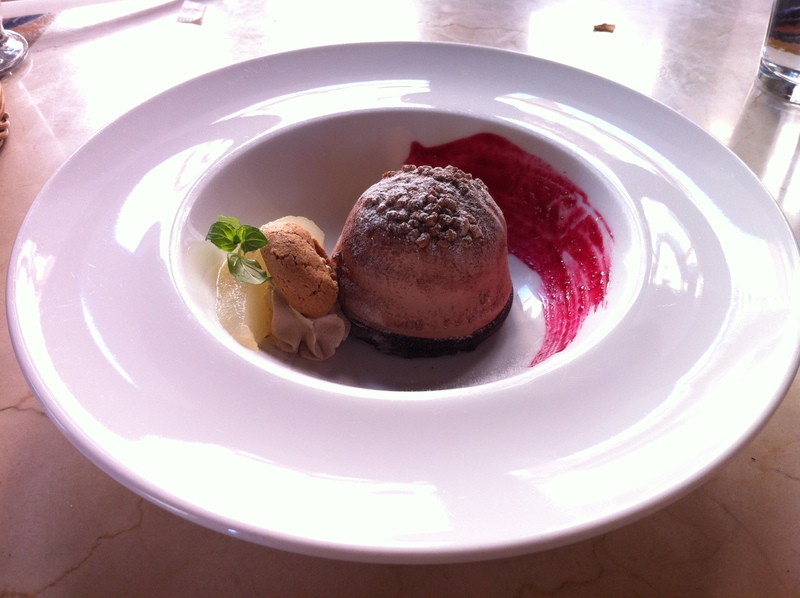 Dessert was a very nice and well presented semifreddo (semi-frozen), which from memory may have been hazelnut flavoured. 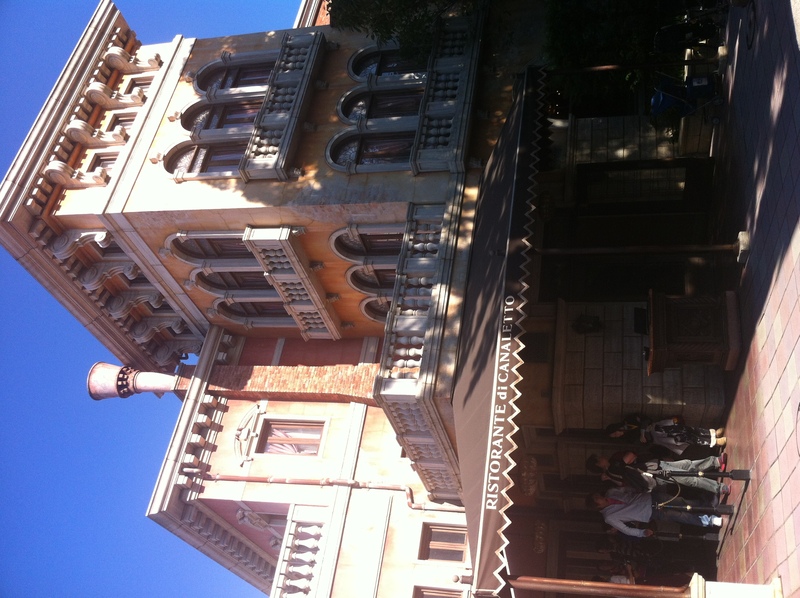 Unlike the restaurants at Tokyo Disneyland, you can order alcoholic beverages at Disneysea. You can enjoy a beer with your meal, and even purchase wine by the bottle. 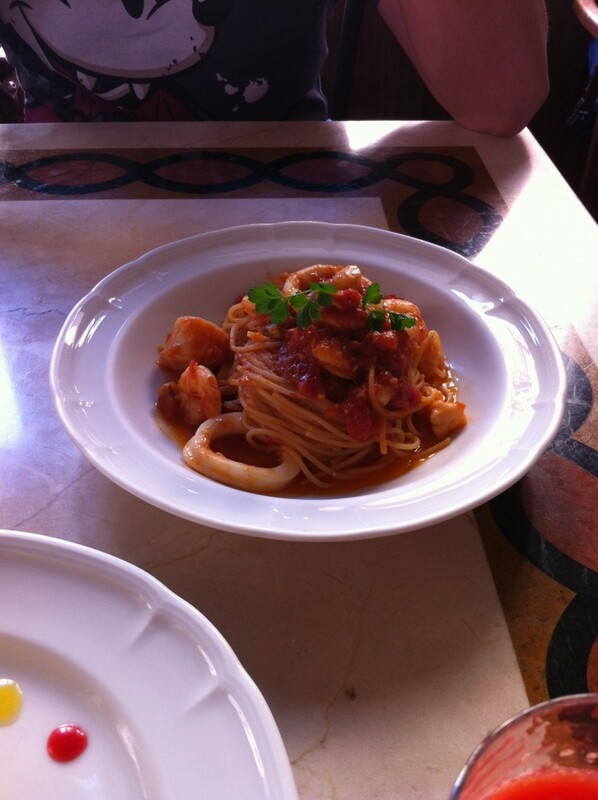 All up, our meal (two drinks, an entree, pasta, dessert and a seafood pizza) cost 4,990 Yen. 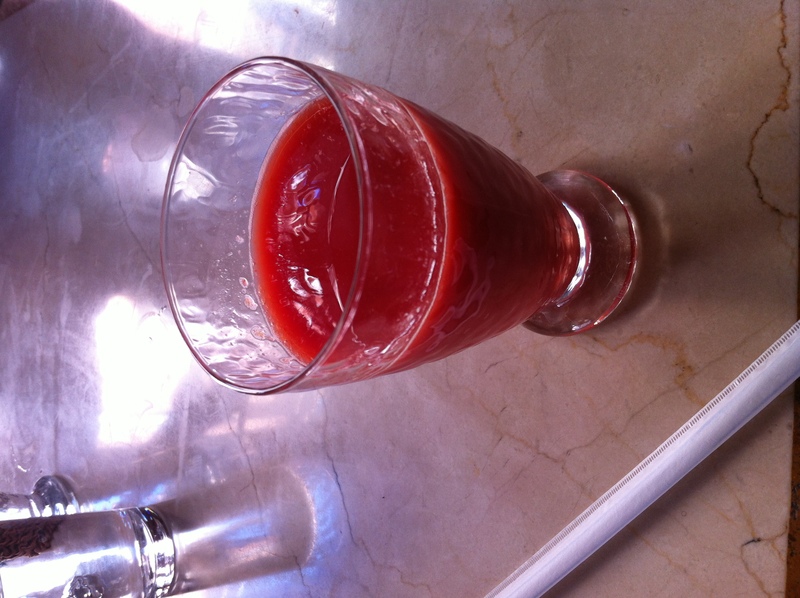 We would absolutely, definitely eat there again – even if we had to wait the full 40 minutes or more. 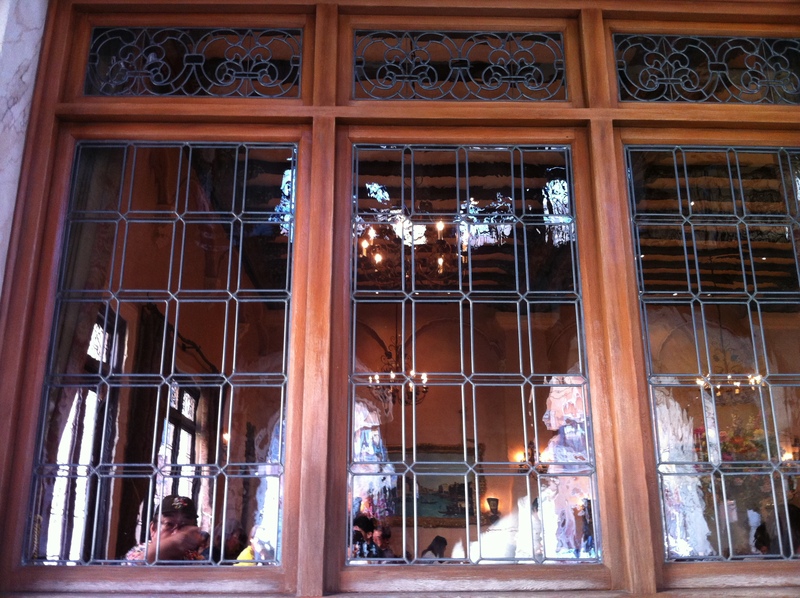 In the next post I will be writing about Magellan’s restaurant and bar at Tokyo Disneysea.